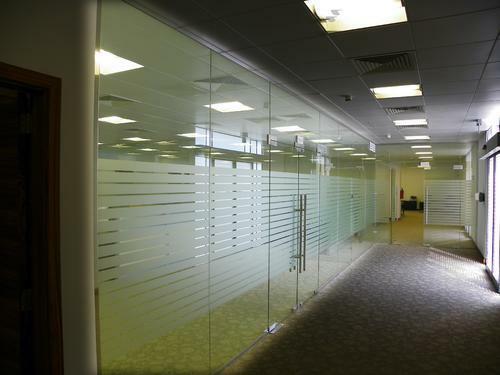 We are one of the leading manufacturers and suppliers of a designer range of glass partition. These are skilfully designed and developed following international market trend and provide clear view from outside. Our glass partitions are manufactured using best quality hardwood frames or stainless steel patches, which make these strong and durable. Customers can avail these in various stylish look, shapes, designs and finish following the demands of clients. Weldone Interior Homez Private Limited provide a one-stop solution for our customers, with professional service and technical support, both at the design stage and during installation. Our production engineers will always give you technical guidance on products and applied technologies. Weldone Interior Homez Private Limited is a company with vigor and vision, backed by experience and reliability. The management and their team comprises of dedicated professionals. We offer a vast product range to suit every taste and every budget and we are continuously developing the products to fit your needs. Our Quality Management System meets the requirements for the design, development, manufacturing and machine to develop the products, which make each piece, is master piece. We have a stringent Quality Assurance Plan, which ensures quality of our all products. We also can meet your special requirements and upon receipt of details we shall forward you our competitive offer. To enhance customer satisfaction through the effective application of the system and product.